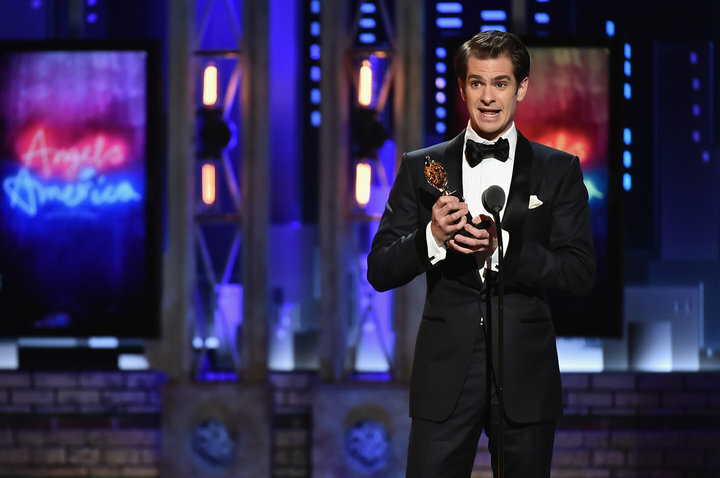 Actor Andrew Garfield took home the first award of the night at the 2018 Tony Awards on Sunday, and delivered an acceptance speech that addressed the controversial Supreme Court decision that sided with a baker who for religious reasons refused to create a wedding cake for a gay couple. See full story here and see Garfields full speech below. Angels In America was also named best revival of a play and Nathan Lane, who played Roy Cohn in the show, won for best performance by an actor in a featured role in a play. The Band's Visit was the night's biggest winner, with a total of 10 wins, including Best Musical, followed by Harry Potter and the Cursed Child, Parts One and Two with six wins, including Best Play, and Angels in America with three wins.